If we were going to do a comprehensive list of all the reasons why you’ll fall in love with Havana, this list would contain some 5382 items. So we have cherry picked 9 of the most pertinent reasons and spots in Havana that will most definitely make you embark upon a lifelong love affair with this city… a place that is nothing less than magnificent. You can (and probably will) spend days wandering around Havana’s UNESCO-protected old town (La Habana Vieja). The street known simply as O’Reilly is a great place to get started. It’s the heart of what is typically thought of as the tourist zone in Havana, but this doesn’t detract from its authenticity. It’s the best starting point for your explorations with plenty of stores, restaurants and bars. Officially known as the Callejón de Hamel, this small alleyway in central Havana is often just referred to as that weirdly cool arty place. It’s simply a small street in which a number of Cuban artists have set up shop. There are galleries and workshops, and much of the actual street has been taken over by the artists with bold, even psychedelic murals and street sculptures. There is generally live street music on weekends, so this can be the best time to drop by. If the Old Town is the heart of the city, then the Malecón is… well, a major artery at least. It’s a long esplanade that stretches along the harbour and is a major social focal point. Whether you want to wander along for hours or simply sit with a cold beer and watch the people go by, this is the best spot to soak up the atmosphere of Havana. The project originated from the engineer Francisco de Albear, although it did not even begin construction until 1901, four years after his death. 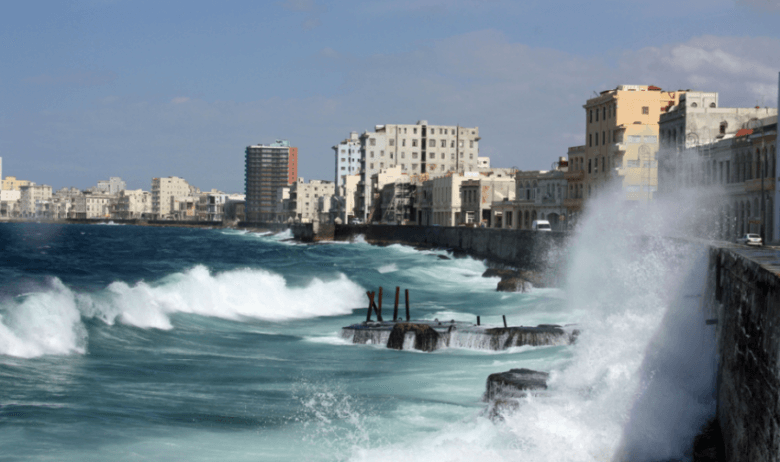 The Malecón starts in Old Havana and stretches through to Vedado. This is a part of the city that is really rather fascinating. It was one of the wealthier areas of the city prior to the Cuban Revolution and now a lot of the old mansions and grand homes have been repurposed as restaurants, accommodation and nightlife spots. It’s a better bet than Old Havana when it comes to something to do when the sun goes down. Leading off the Malecón and into Vedado is Calle 23. This is yet another spot in Havana to wander and soak up the atmosphere. Much like the Malecón, this is a place where the locals come to simply hang out. If you want to join in the fun, start exploring the area of Calle 23 between the Coppelia ice cream shop and the Yarra Cinema. Havana is known for its classic cars, but this is not all that will be on the road. You might also encounter a number of older Soviet-made and Chinese vehicles, but these drab, unremarkable cars are almost invisible when seen on the street alongside those boldly-coloured classic cars. Many of these old vehicles operate as taxis, so try to take a ride (either negotiate the cost before you leave or insist that the meter is turned on). Even if it’s just a short drive through the centre of the city, a classic car ride is essential when you come to Havana. Even if you’re not a night owl, you might find yourself in for some late nights in Havana. There is a rich social culture here, so dinner can quite easily turn into cocktails, followed by beers at a bar, followed by dancing until the sun comes up at the Casa de la Musica. Even if you didn’t pay much attention at in history class, you are no doubt aware that Cuba has had a turbulent history. This often difficult evolution of the country has given it its distinctive cultural identity, which can be experienced on a full day tour in Dubai. Havana’s (and indeed all of Cuba’s) greatest asset is its people. 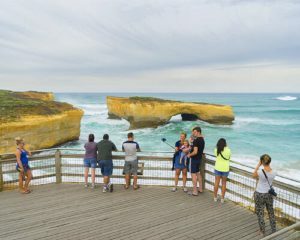 Many travel guides overtly state that the people who populate a certain destination are the warmest of earth (or such information is tactfully missing when even the most charitable assessment of a place could not consider this to be true). But the people of Havana are warm, friendly and curious. Nothing is too much trouble, and whether it’s your hosts at your Casa Particular or the friendly strangers you share a beer with on the Malecón, you will find yourself pleasantly confronted by the kindness of strangers. It’s not something that’s put on for visitors either… it’s just the way that people are in Havana. I as well as my friends ended up reading through the nice solutions located on your site and then all of a sudden came up with an awful feeling I never expressed respect to the web blog owner for them. Most of the guys were as a result stimulated to learn them and have in effect in reality been using these things. Appreciation for actually being so kind as well as for going for such amazing things most people are really needing to know about. Our honest apologies for not expressing gratitude to sooner. I precisely needed to say thanks once more. I’m not certain what I might have created in the absence of the entire methods shared by you relating to that field. This has been the challenging problem in my opinion, nevertheless witnessing this well-written technique you handled that took me to cry for delight. I am happy for the help and as well , hope that you know what a great job your are undertaking instructing many people all through your blog. Most likely you’ve never encountered any of us. I needed to write you the little note in order to thank you so much again just for the pleasant strategies you have provided above. It’s simply remarkably open-handed of you to provide extensively just what many individuals might have sold as an electronic book to make some bucks for their own end, specifically since you might well have tried it in case you considered necessary. These tactics likewise served to be a fantastic way to fully grasp that other people online have a similar passion just as my personal own to realize more in terms of this condition. I’m certain there are lots of more pleasant instances in the future for those who scan your website.